I'm currently playing a Pickett (4S, sometimes 4). 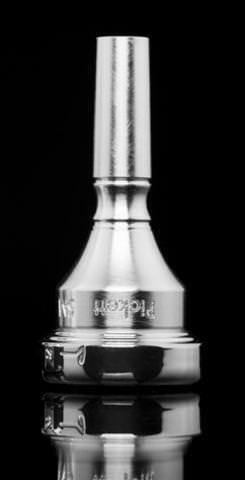 They are nice mouthpieces, a bit like a Greg Black w/a bit more resistance - the reason I have chosen to switch to them. The blank is towards the heavy side - maybe just a bit heavier than the Black medium weights. They offer a light blank now, that I haven't tried. The only one piece mpcs. are the ones with just a number (in the standard series) and maybe the Signature series for various artists. The workmanship is terrific - I have some screw rim mpcs. that you can't tell are not one piece until you start to unscrew them. The sound is big and rich, and they have lots of focus. The standard rim (C) is fairly flat with a good bite to the inner rim. The (R) shape of rim is more rounded. One thing to know - their numbering vs. their measurements in the descriptions is confusing. The numbers on their standard series are very similar to Bach numbering - their measurements for rim size seem to be taken at a different point of the upper cup/rim, and are listed as bigger than what they feel like. In other words, a Pickett 4 will feel very similar to a Bach 4 (or Wick) but the specs. on the site make it look like it's more in the "3" range. Same for other sizes that I've tried. They will not be for everyone, but are definitely worth a look. I am using a Pickett Ko #4 now, the rim is very comfortable, like the Greg black NY series rim . It is heavier than GB medium and can make a huge sound but without losing the core of the sound. But you must chose the size carefully, the size you feel on your lip is always smaller than it is listed on the website. is this the light version of the pickett tenor? Yes, I believe that is the new light blank version. 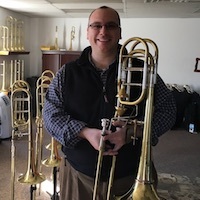 Weird side note, Pickett makes an ophicleide mouthpiece, developed in conjunction with Dr. Richard Demy, that is a fantastic hybrid of period architecture and modern adjustments. Not so much about large tenor, but I love my 1C-1D for my bass. I had a "fitting" at the last Shires factory day and hands down this one clicked with me and my horn. I asked them not to tell me what they were having me try so it wouldn't color my playing or my judgement and I ended up on a larger piece than I would have ever picked. Have you a link to this mouthpiece?